After setting the dance floor on fire you'll need to cool down before the next banger comes on. 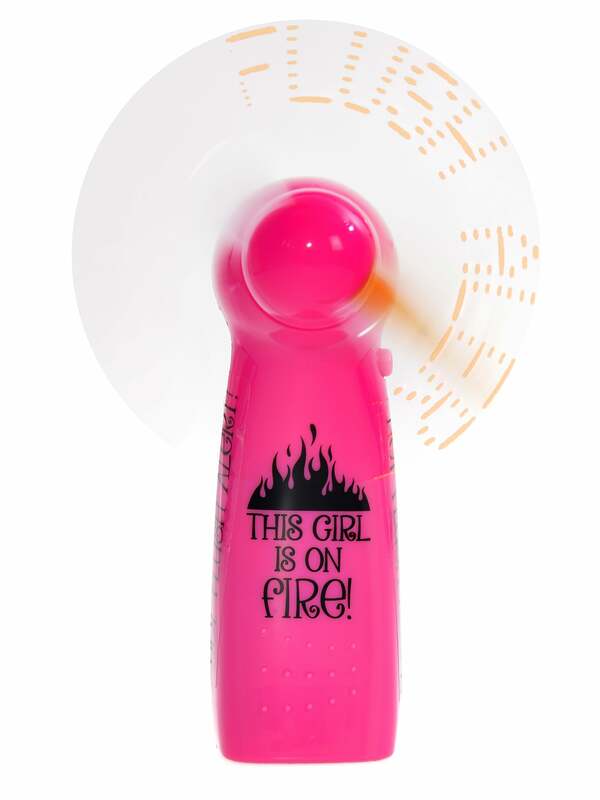 This amazing pink 'Hot Flush Alert' Fan is the perfect solution! Measuring just 10.5 cm long, it will fit snugly in your bag. An essential addition to your wild night out! This fan-tastic novelty accessory comes in hot pink and features a bold black design. The fan flashes "Hot Flush Alert" in LED's when turned on. This is the perfect addition for bachelorette night gift boxes. Add a personalised gift bag, novelty glasses, sweets, dare dice, heart confetti and a personalised T-Shirt to complete your order?